14 Unmissable Things To Do In Havana – The Discoveries Of. Cuba. With its old world charm, there’s no place quite like it. We took a trip to Havana to check out the classic cars, architecture and atmosphere. And we weren’t disappointed. 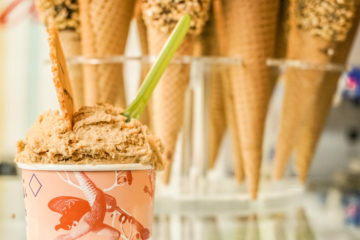 Here are our picks of the best things to do in Havana to make your trip unforgettable. 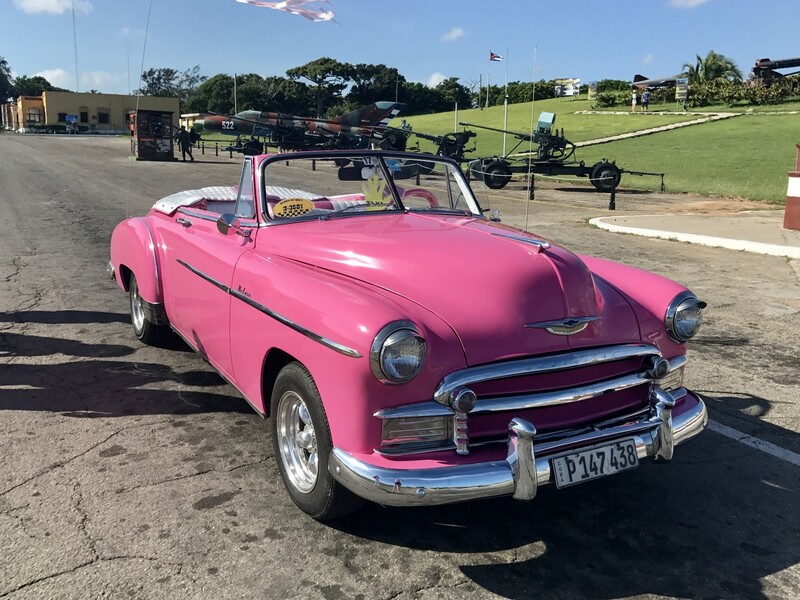 One of the best things to do in Havana is undoubtedly to take a car tour around the city in a classic car. We opted for a pink Chevrolet (the best), but there are almost 40 different models and colours to choose from. 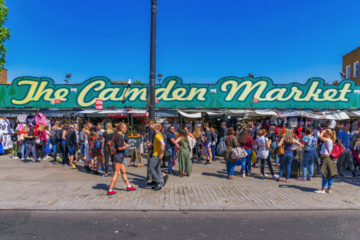 Each car comes with a driver, and for a small extra fee, you can have your own personal guide who speaks English with great knowledge of the city, which we would highly recommend. 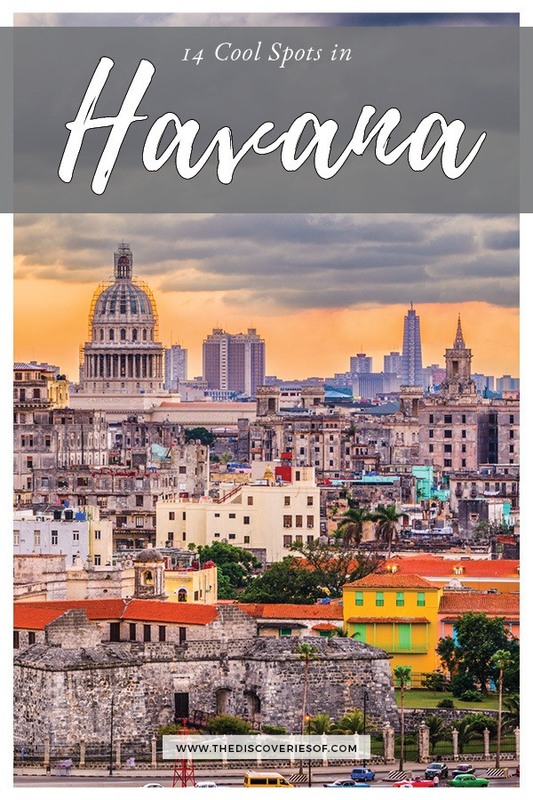 You’re taken all over the city – including Old Havana, Central Havana and neighbouring suburbs, seeing sights such as the Capitol Building, Revolution Square and El Malecon, with your guide explaining the history of the city as you go. 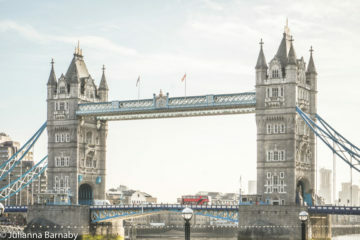 Getting a car tour around the city is not only a fun and unique experience, but also a great way to see a lot of the city. But don’t forget your shades – you’ll want to look as cool as possible when riding around in that convertible! 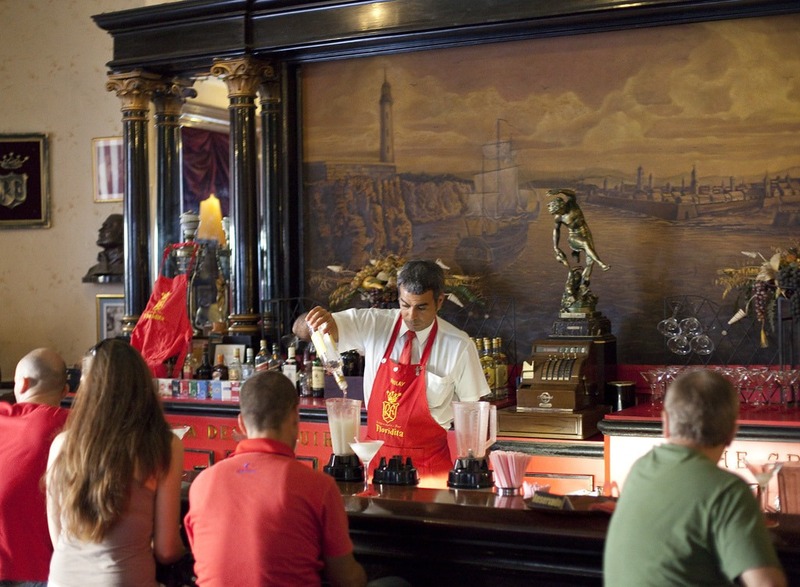 El Floridita, situated just down Calle Obispo off of the main square in Old Havana, is a world famous daiquiri bar. Originally opening in 1817 under a different name, it wasn’t until Hemingway started drinking there in the 1930s that El Floridita became a hotspot. 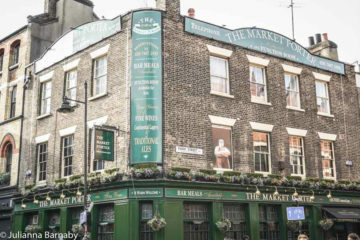 Since then tourists have come far and wide to check out the classy ‘cradle of daiquiri’ and sit next to the life-size statue of Hemingway, sat at the bar in his ‘favourite corner’. You have to get the Papa Hemingway Special – a grapefruit flavoured daiquiri; it’s exquisite! Legend has it that Hemingway was such a regular that he once drank 13 double daiquiris in one sitting – think you can beat it? If you can, the next round’s on us! The Revolution Museum is a must-see place for people visiting Havana. It is situated in what used to be the Presidential Palace, which was built in 1918 with an interior designed by Tiffany & Co. 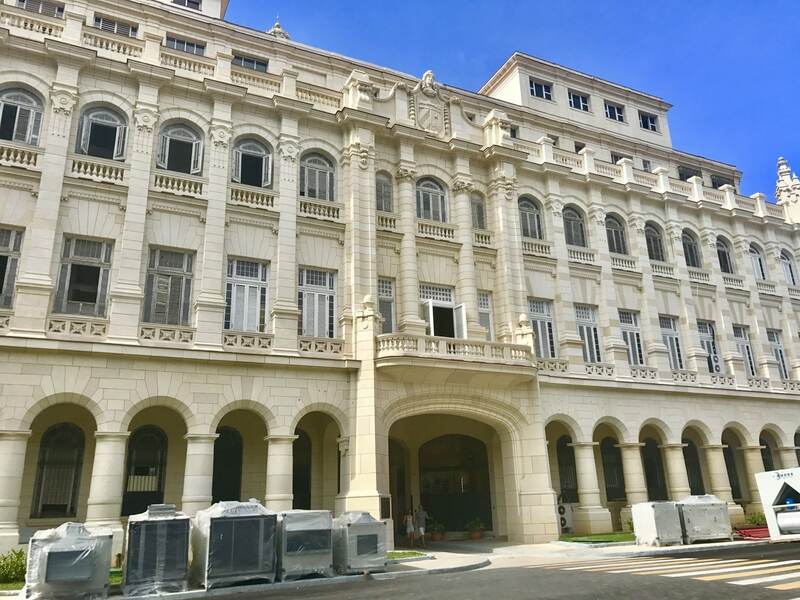 It was once a government-used building, however now the Presidential Palace is the home of the Revolution Museum, used to exhibit the history of Cuba, from the time of the Cuban Revolution and the Missile Crisis up to its rise today. The Revolution Museum provides visitors with a detailed history of Cuba, including artefacts and parts of tanks and planes used during the Crisis, all in one of its most beautiful buildings, this is a must-see for all visitors to Cuba. The Partagás Cigar Factory is the oldest and most famous cigar factory in Cuba, founded in 1845. The factory produces over 5 million cigars every year, and at the factory visitors are allowed an in-depth look into the making of the cigars, starting with the tobacco leaves being unbundled and sorted, and then the tobacco being rolled, pressed, banded and boxed. It often features on lists of the best things to do in Cuba and is a must-do on your Havana travel itinerary. 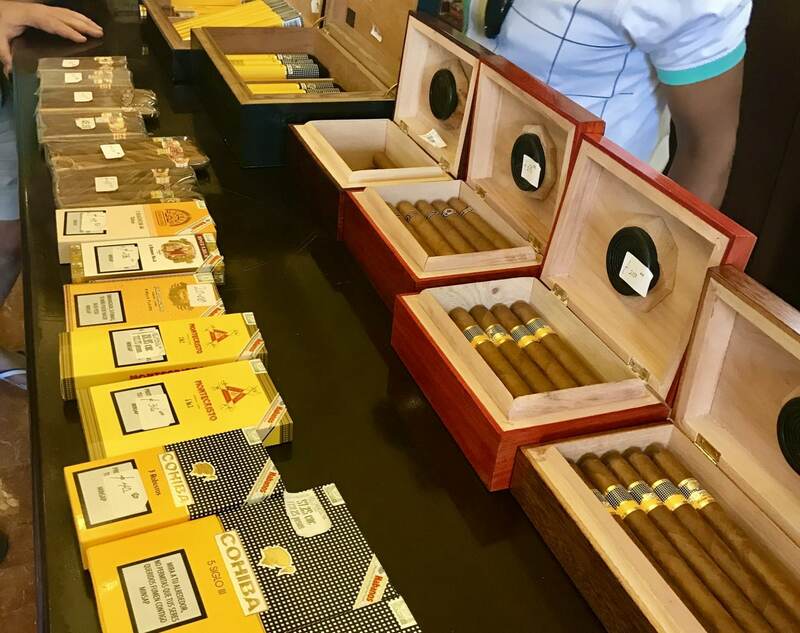 The factory also has an adjoining cigar shop, where all the cigars sold are made on-site, with top brands such as Cohibas and Montecristos available to purchase. Cuban cigars are known to be the best cigars in the world, so why not take a look into how the cigar is made? And although you can’t use your cameras inside the factory, you won’t need a photo to remember this place – the smell of the cigars will stick with you forever. 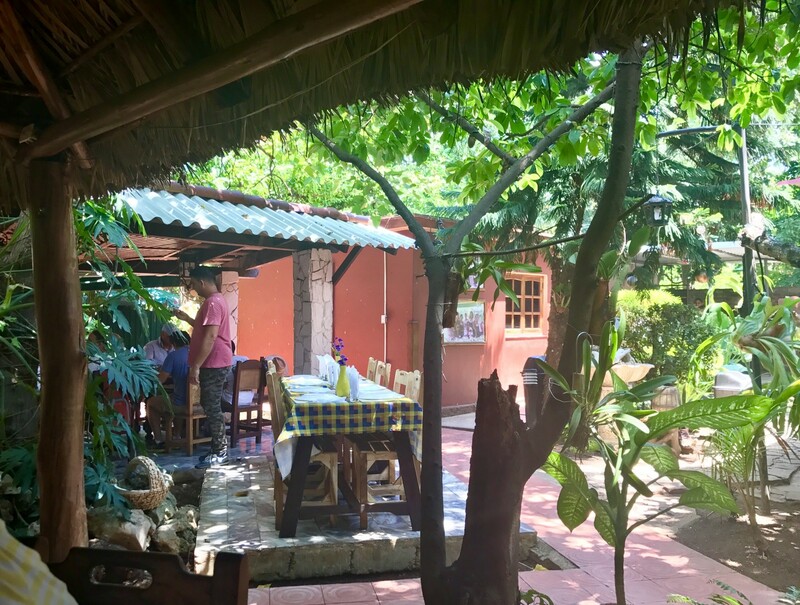 Dona Carmela is a small restaurant on the outskirts of Havana. When we were told by our tour guide that Beyoncé and Jay-Z came here on their recent trip to Havana, we decided we simply had to try it. I mean, if it’s good enough for Beyoncé, then it’s good enough for us, right? Right. This hidden gem is set within a picturesque garden near the La Cabaña fortress, in a totally unsuspecting neighbourhood full of residential houses. And specialising in seafood, the cuisine on offer is incredible, with all of the mains complemented by the Cuban special, black beans and rice! So, smell the wood-fired oven, listen to the Son band, sip on a mojito and relax – this is Cuba. 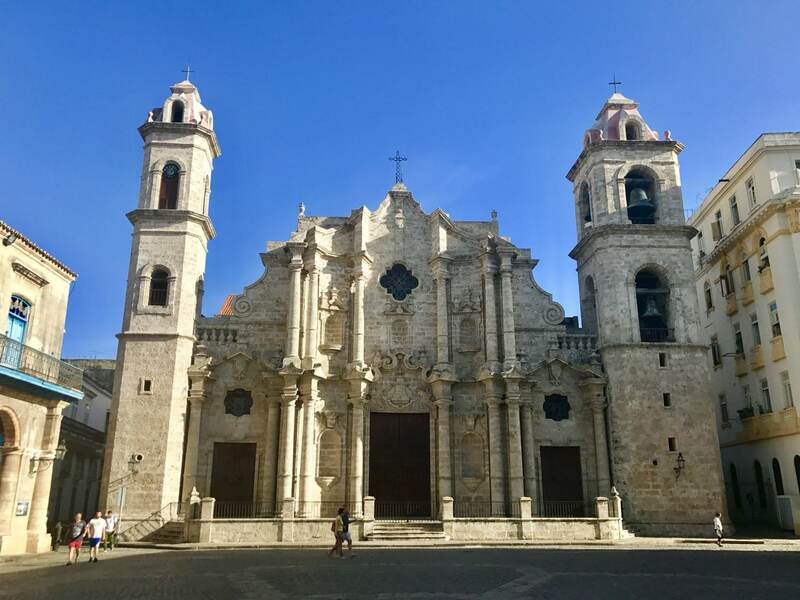 The Havana Cathedral, located in the Plaza de la Catedral in Old Havana, was built over a period of almost 40 years up until its finish in 1787. Described as ‘music set in stone’, this incredible cathedral towers over the square with a Baroque exterior, but a neo-classical interior. 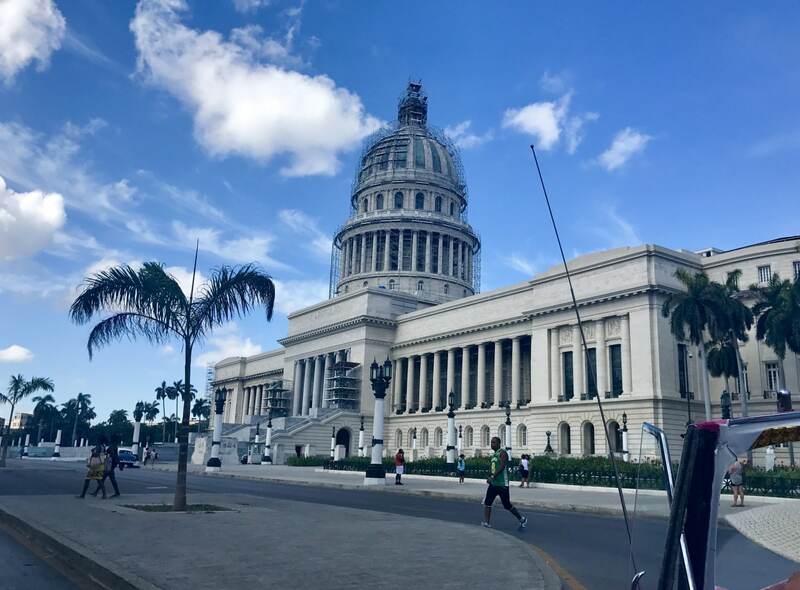 Havana’s majestic Capitol Building, modelled on the Pantheon in Paris and the US Capitol Building in Washington DC, has sat overlooking the city since 1929. Situated on Prado Street, the building lies on the border of Old Havana and Central Havana. While it was once a government building, it is now home to the Cuban Academy of Sciences. This historic building contains some of the most beautiful interior in the city, taking over 10 years to create, and also houses the world’s third largest indoor statue, La Estatua de la República. Well worth seeing. 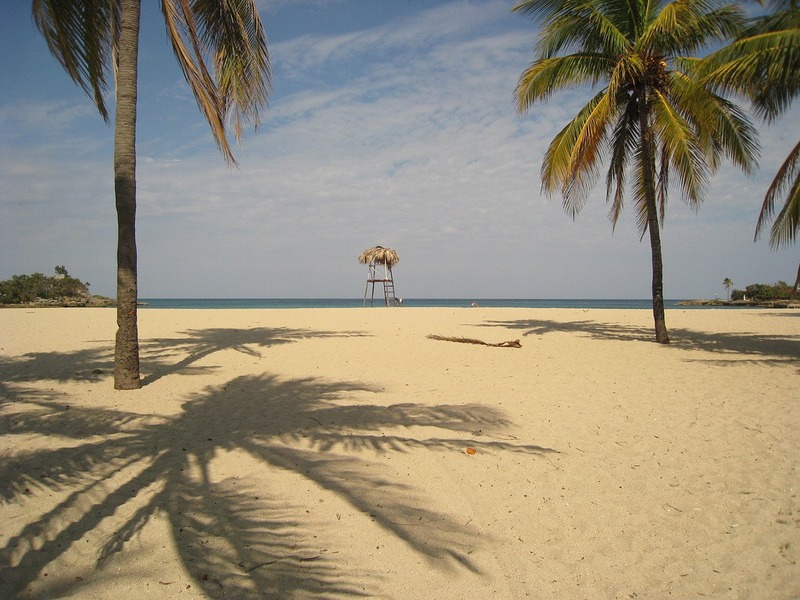 Bacuranao Beach is a beautiful beach, 12km from Havana, and is the closest beach to the city. Mainly visited by Cubans, Bacuranao Beach is off the beaten path and not flooded by tourists, which is one of the things that make it so special. The quiet beach is part of the Playas del Este, a group of beaches along a 15km stretch, full of white sand and coconut palms – it’s dreamy. And if you like snorkelling, then Bacuranao is the one for you – the beach is known for its coral reef, and has the best snorkelling that is close to Havana. So, take a day out of your busy schedule of sightseeing in Havana, do it as the locals do, and visit one of their favourite places just on the doorstep of the city. Morro Castle is a fortress that guards the entrance to Havana Bay, built in 17th century, and until La Cabaña Fort was built in 1774, it was the main defensive building in the Havana bay. The castle is now open to visitors with its deep moat and lighthouse as a main attraction. As well as its historical significance, Morro Castle also offers visitors some of the most fantastic views out onto the Bay, especially at sunset. If you’re anywhere near the castle at night, you’ll hear the cannons go off from the Castle, which used to be a signal that the walls of Havana needed to be closed for the night. That’s no longer the case, but it’s still done for tradition. We recommend sitting on the walls of the Malécon – it’s a real hotspot at night, and there’s something very nostalgic about it. 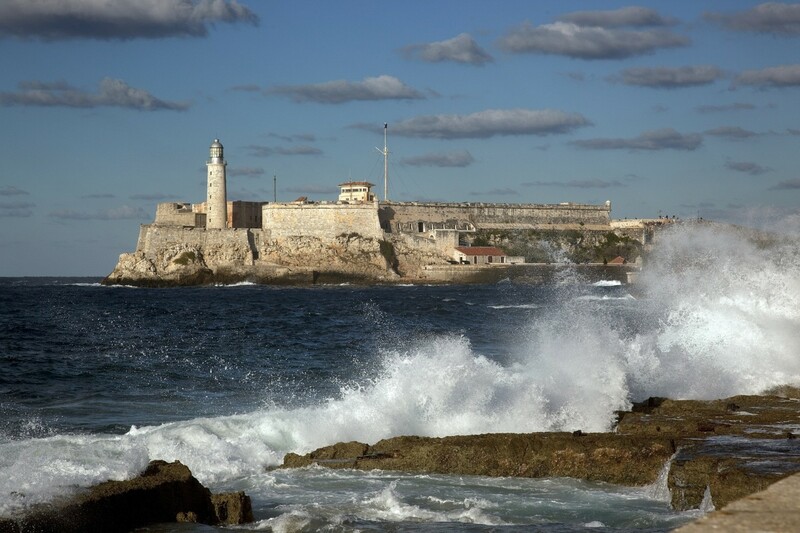 Morro Castle is a true symbol of the city, and one of the best things to see in Havana. Looking for more things to do in Havana? 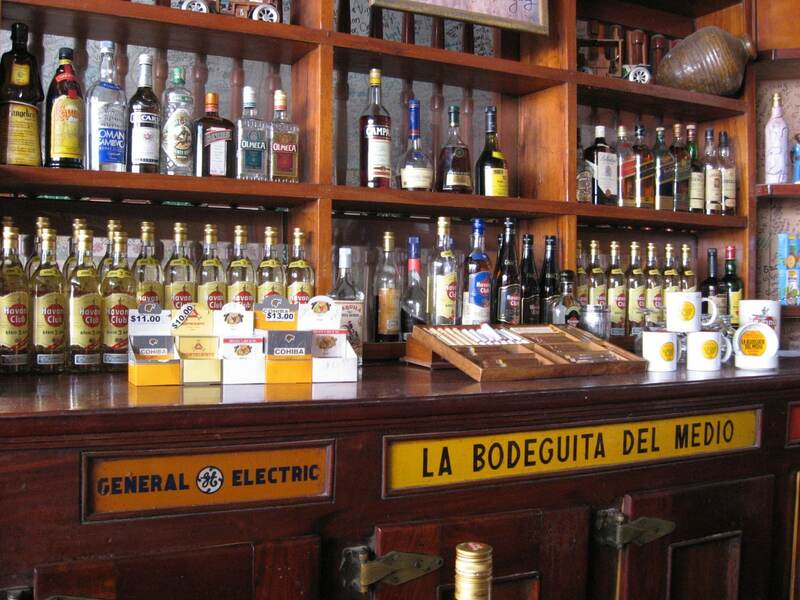 La Bodeguita del Medio is a bar in Havana that opened in 1942. Decorated in typical Cuban fashion, the bar is covered with photos, autographs with messages on the walls, and old trinkets scattered all over the place; but although the clientele might have moved on from the likes of Nat King Cole and our beloved Hemingway, the bar hasn’t. Claiming to have served up the first ever mojito, the bar is still serving up the finest (and some of the cheapest) mojitos and cocktails in the city. This is a must if you want a taste of authentic Cuba. As Hemingway once said, ‘My mojito in La Bodeguita, My daiquiri in El Floridita’ – the man clearly wasn’t just book-smart. 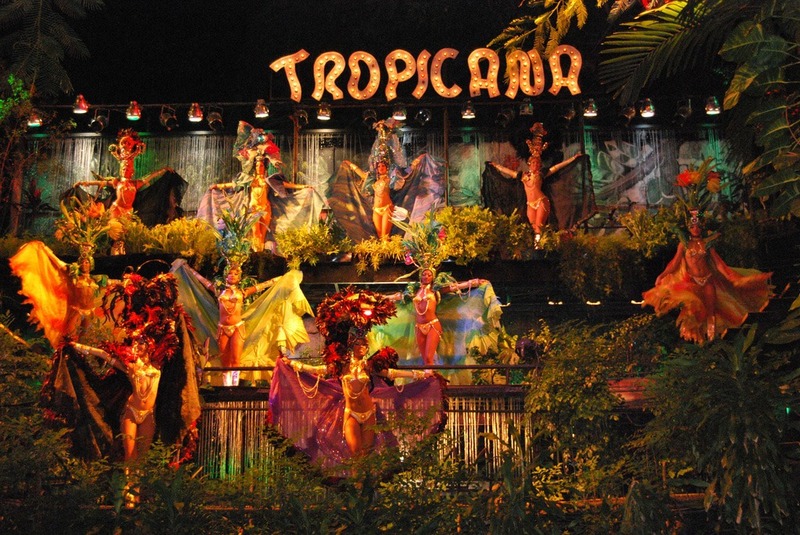 The Tropicana Cabaret is the oldest and most famous cabaret show in Havana, having launched in 1939. It is known as ‘Paradise under the stars’ as it takes place in the open-air Salon Bajo Las Estrellas, and it surely is paradise. You’ll be taken back in time with the singing, dancing and music, all reminiscent of the 1950’s, while sitting surrounded by lush vegetation. If the music and dancing aren’t enough, we guarantee that you won’t be able to take your eyes off the colourful and glittering costumes – they change for almost every song! A favourite among Hemingway and JFK, the Tropicana Cabaret is one of the best things to do in Havana. Revolution Square in Havana is one of the largest city squares in the world, at 11 acres. The square is where Fidel Castro made most of his speeches to his people, so it has great cultural significance to the Cubans. 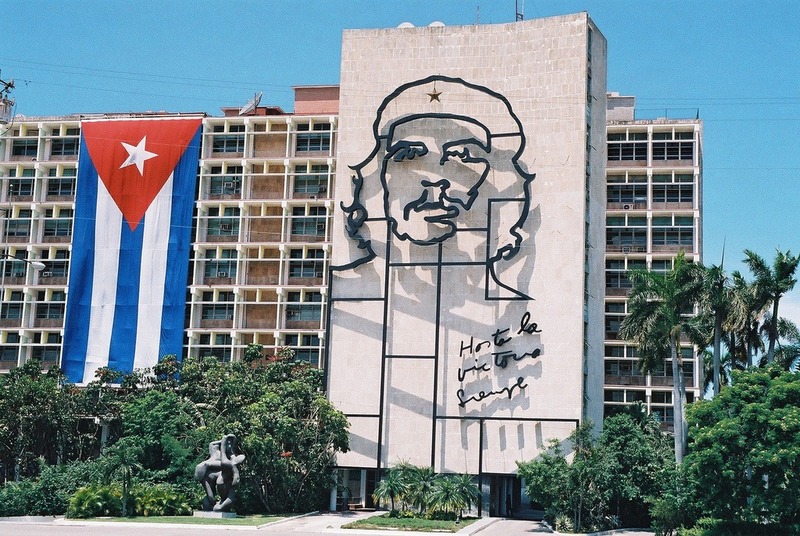 It is best known for being home to the most iconic image in all of Cuba, the giant mural of Che Guevara on the Northern side of the Plaza, and also the mural of Camilo Cienfuegos, the revolutionary guerrilla fighter, on the adjacent building. Full of history and culture, Revolution Square is one of Havana’s top tourist spots, and is something that everyone should see. 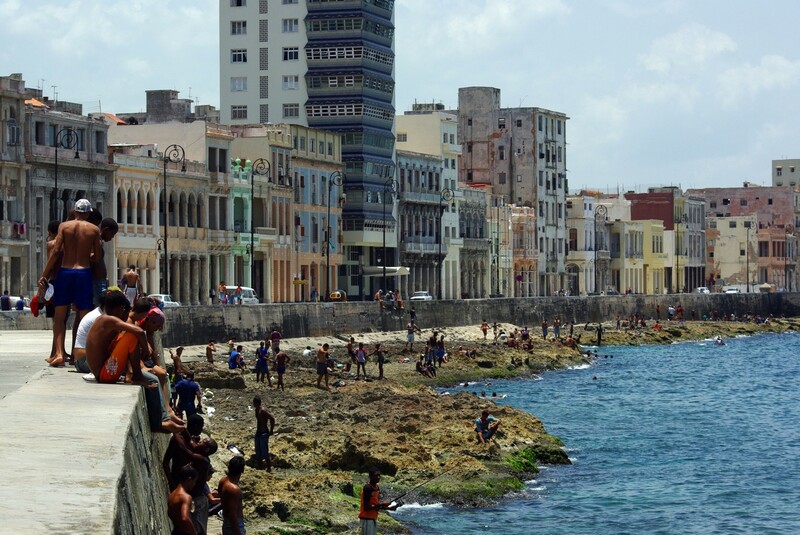 The Malécon is the roadway and seawall which stretches for 7km along of the coast of Havana. On one side of the road, there is some of the most colourful and interesting architecture in the city (including the Hotel Nacional de Cuba). On the other side is the ocean, with the waves crashing against the rocks. If you get a chance, come down here during the evening and to watch the sunset – it is THE place to hang out, sit and people watch. The atmosphere is lively, the evenings are warm. 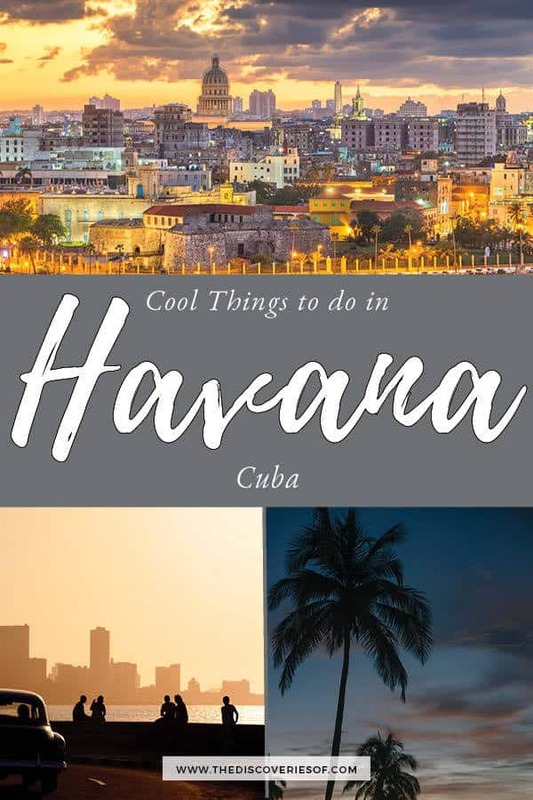 It really was one of the best things we did in Havana (made even better and more authentic with some Havana rum, of course!). Looking for one last thing to do in Havana? Get your cameras prepared. Make your way to the top of La Cabaña Hill, in the suburb of Casablanca to find the best view of the city. There’s also the Christ of Havana statue as an extra bonys. 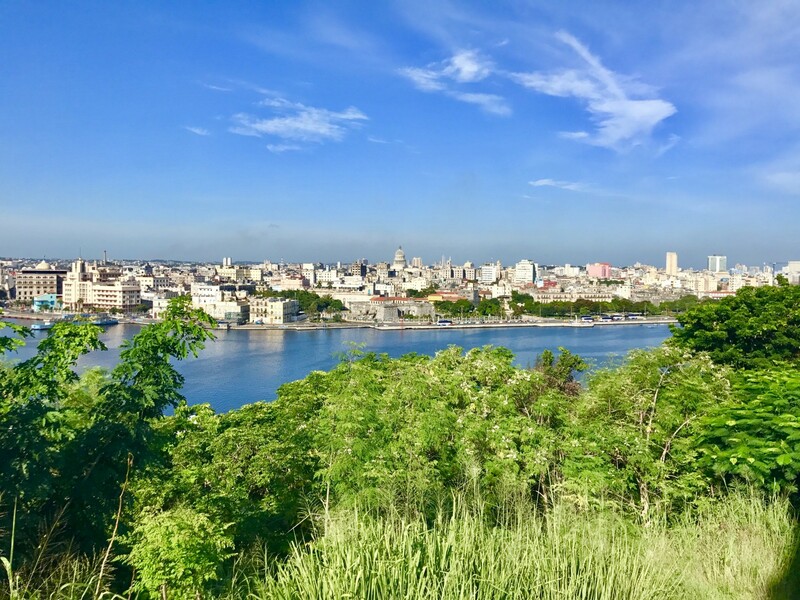 Take a taxi to the La Cabaña Hill, about a 10 minute drive from the city, or ask for your tour guide to include it in your trip; once you arrive you’ll have unparalleled views of Havana city and the Bay. Additionally, you’ll see the huge Christ of Havana statue, overlooking the city. Want to know more about the best things to do in Havana? Check out this guide to El Floridita. We’ve got even more travel guides and tips for Central America and the Caribbean. Check them out.